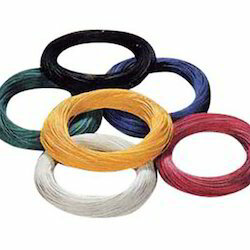 Our organization offers a superior range of Electrical Cables, which is widely used for transmitting signals. 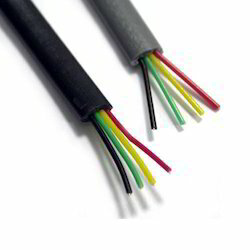 These cables are also used to transmit signals as TV cables, computer networks etc. Our range is sourced from certified vendors such as Havells, Polycab and finolex. 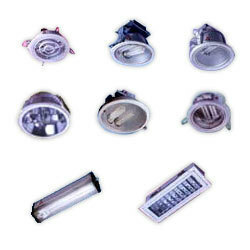 Furthermore, our range offers excellent performance and well known for long lasting service life. 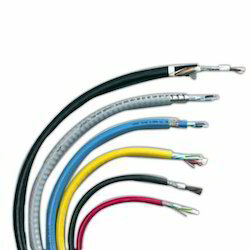 We are authorized dealers of Delton, Polycab and Finolex Telephone Cables. These cables are highly sought after in applications involving EPBAX system, telephone switch broad indoor, telephone outdoor, exchanges. Our range of cables eliminates cross talk and increase the voice clarity. Moreover, we apply maximum efforts to meet the bulk demand of our clients within a given timeline. Our organization holds expertise in providing an exclusive range of Electrical Wires, which is sourced from trusted vendors like Polycab, Finolex, Havells and other companies. These are ISI marked wires and widely acclaimed for the features such as flexibility, heat resistance, and abrasion resistance. Our range finds wide applications in electrical industries, commercial buildings, and homes. We are engaged in offering an exclusive range of Electrical Lighting Fixtures to our clients, which is procured from Philips, Compton and Wipro. These are fabricated using quality components and are available in various attractive models and designs. Our range is especially designed by our experts to meet the needs of modern interiors. We offer our range at competitive prices. Looking for Cables, Wires and Light Fixtures ?